You made up your mind? You’ll say “I do” in Venice? Great, but how does it go actually? Here you’ll find your most FAQ to help you out. And if a question remains, contact our team, we will be more than happy to answer! Where is Venice’s Town Hall? It is likely one of the most beautiful settings for a civil wedding through Europe. 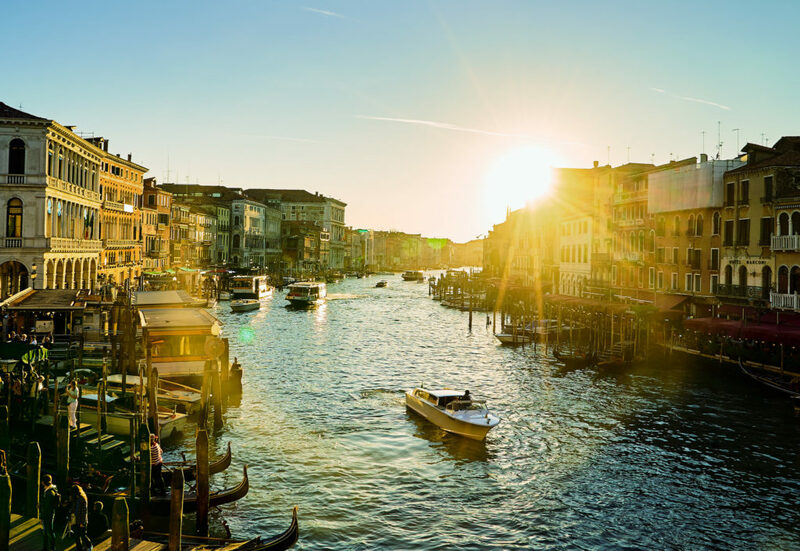 The Venice Town Hall is located directly on the banks of the Grand Canal, close to the Rialto Bridge. Its Byzantine style palace dates back to the 12th century: its marble-carved columns give it a unique elegance. The wedding hall, whose windows overlook the canal, is decorated in a simple Venetian style. How to get to Venice’s Town Hall? Probably the most magical moment: arriving by boat at the Venice’s Town Hall. Just in front of the building’s entrance, the gondola and private taxis pontoons offer you a privileged arrival. But you can also come there by foot or vaporetto, one minute walk from the Rialto Bridge. Minimum required is two. But it’s also possible to have more than one each. Although only the two official witnesses will sign the register. Brides who choose to hold a one-on-one wedding can ask strangers to be their witnesses. Do I have to speak Italian to get married at Venice’sTown Hall? No. The texts are read in Italian and an interpreter will translate into your own language. Campo San Maurizio’s team is present to interact in Italian with all your interlocutors. How long last the ceremony? Do not worry your guests won’t be bother with a long Italian speech + its translation. The ceremony lasts about 20 minutes. Then you just have to sit down on a gondola or a taxi, and let get the party started! Can we get married on weekends? Yes. Though the Venice City Council is only open weekly, we can organize a wedding on weekends or out official times.